The private email account that Hillary Clinton used as secretary of state contained at least five classified emails with information from five different U.S. intelligence agencies, McClatchy's reports. The report cites a congressional official with knowledge of the matter. Inspectors have reviewed only a small sample of emails from the 30,000 that Clinton turned over to the State Department. However, in a June 29 memo, two inspectors general said that Clinton's private account had "hundreds of potentially classified emails" in it. What's not clear is whether any information in Clinton's email account that was marked as classified by the State Department when Clinton sent or received them -- some information could have been retroactively classified. The five emails already reviewed were not marked as classified at the time they were stored on Clinton's server, even though their contents were "secret," the two inspectors general said. One email -- pertaining to the Sept. 11, 2012 attack on a U.S. compound in Benghazi, Libya -- contained information from the National Security Agency, the Defense Intelligence Agency and the National Geospatial-Intelligence Agency, an unnamed official told McClatchy's. The four other emails reportedly contained information from the Office of the Director of National Intelligence and the CIA. The email related to the Benghazi attack was improperly released to the public in May along with nearly 300 other emails publicly released. The Clinton campaign said in a statement last week that the former secretary of state "followed appropriate practices in dealing with classified materials. As has been reported on multiple occasions, any released emails deemed classified by the administration have been done so after the fact, and not at the time they were transmitted." 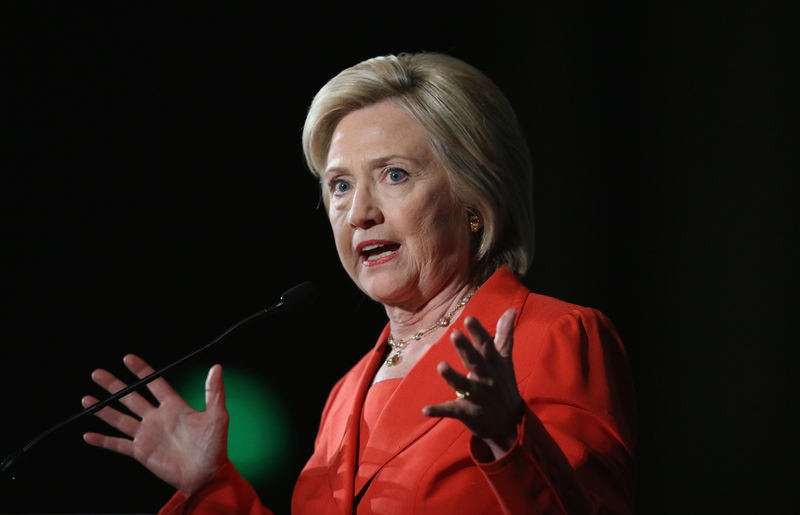 While campaigning for the 2016 Democratic presidential nomination, Clinton has repeatedly denied she ever sent or received classified information. Two inspectors general have indicated that five emails they have reviewed were not marked classified at the time they were stored on her private server but that the contents were in fact "secret."